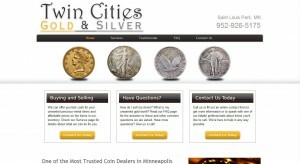 Twin Cities Gold & Silver address, phone, website, hours of operation, and more. 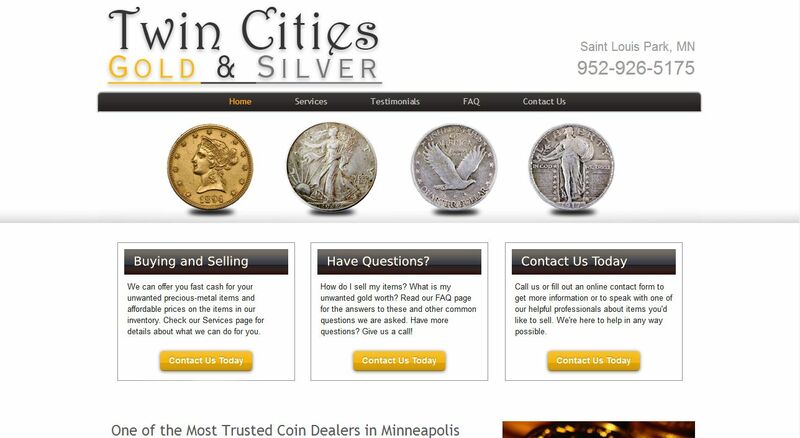 If you’re looking to sell gold coins in Minneapolis, come to Twin Cities Gold & Silver. We offer a convenient method of buying and selling quality gold and silver coins, jewelery, and other items throughout the Minneapolis and St. Paul metro area. We can quickly buy your unwanted items and will pay top dollar for any scrap metal or items of value. If you have been looking for a particular article of jewelry or precious metal, make sure to look at our selection. Our extensive inventory features a number of items at an affordable cost. You can also trade an unwanted item that you bring to us for appraisal for any item in our store of equal value. We offer a convenient storefront, which is safer and more accommodating than online ordering. Buying or selling gold or other items of value online can be risky and can waste a great deal of your time and energy. Instead, consider visiting us with your unwanted items and we can provide you with a fair appraisal in no time.